The thinning of the veil is here. Ghouls and ghasts will be bleeding their way into the world… but those are the least of our concerns. Dwelling deeper in the darkness are the princes of true evil, the masters of malevolence and cruelty. Torturous beings who feed on the darkest of human fears and love to work to spread them further. If you really want to raise some hell this Halloween you'll need to have the perfect costume planned out. 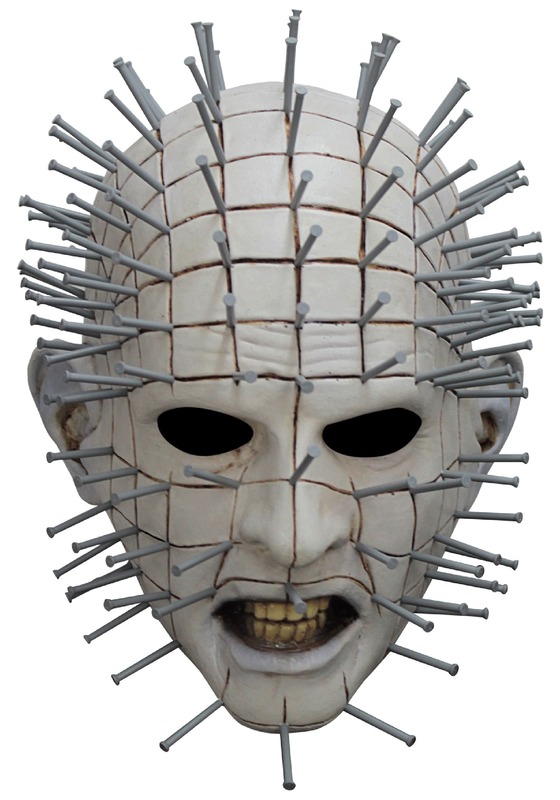 When you look back at all the classic horror movies there are many iconic villains who seem to practically embody all that is evil… but only one stands out as the Hell Priest who truly deserves the title: Pinhead. Don't worry about painting your whole face white and covering it with nails. Not only would that be horrifying, but it might cause enough agony that you might actually break the veil and summon the real priest to the mortal plane. For now, let’s stick with a simpler alternative: throw on this Hellraiser Pinhead Mask and you'll be half way to becoming this iconic antagonist. All you'll need to do to complete your hellish transformation is slip into a daunting black leather robe and you'll look just like the Cenobite leader. Now just wait for someone to complete the puzzle box known as the Lament Configuration then you and the rest of the Cenobites will be ready to feast upon the souls of mankind!